Welcome to teachers, language school and homeschool educators. The Polish Museum is for all New Zealanders and international visitors. Join us for a free orientation of PHTM 'Stefania for Schools' primary and intermediate on-site learning experience at Polish Museum in Howick, East Auckland. The topic is 'Identity/Migration: Polish children arrive in New Zealand 1944. Come hear about the school education programme we have on offer for your students. Primary, Intermediate teachers and home school educators are invited to visit the Polish Museum for a presentation in preparation for student visits in 2017. Experience the ‘Stefania for Schools' programme which includes a slideshow presentation, objects and original artworks, plus view worksheets linked to the NZ school curriculum. Stefania represents the 733 children and 102 adults who were invited by the New Zealand Government in 1944 to stay here for the duration of the war. 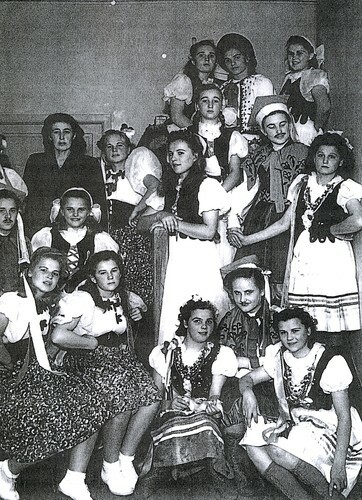 They are commonly known as the 'Polish children of Pahiatua'. This programme is linked to the book 'Stefania's dancing slippers' by Jennifer Beck and illustrated by Lindy Fisher. Topics covered include the term refugee, identity, choice, leadership, family, NZ and Polish connections plus WW2. These free sessions are available anytime. For bookings/enquiries and alternative dates in 2017 please email - phtmuseum@ihug.co.nz or call Lynette on 533 3530. For class bookings and information please call or email - phtmuseum@ihug.co.nz. Cost per student is $2, teachers and parents are free. Price includes a worksheet for each student in attendance. Howick is a destination that offers other educational hot spots including Howick beach rock pools at low tide, Stockade Hill, various Fencible sites and historical walks, All Saints Church, Uxbridge Creative Arts Centre, Te Tuhi Gallery and Howick Historical Village. You can plan a full day outing to Howick with a variety of alternatives. We look forward to welcoming you and your class in 2017.